There were two really interesting devices on display at the Spectec booth at Computex, one was unusual the other was a portent. Unusual was the microSD card Wi-Fi device but game changing was the LTE cards on display. The first thing Spectec had on display was a Wi-Fi microSD adapter called the Cloud Flash. 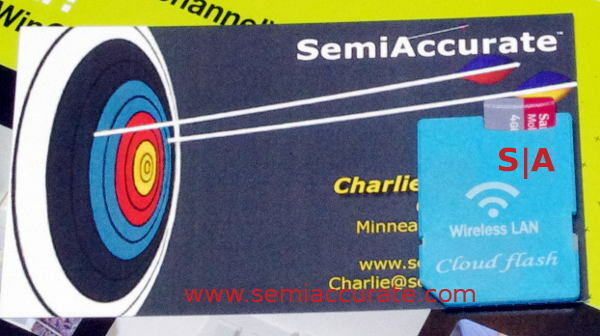 It is similar to the PQI Air Card from MWC and has all the features you would expect plus it is full 802.11n speed. It takes an SDHC microSD card, has a web server-based interface, and cloud flash allows you to keep your camera door shut more often than other non-Wi-Fi cards and still not run out of storage. It is good to see this kind of tech proliferating. 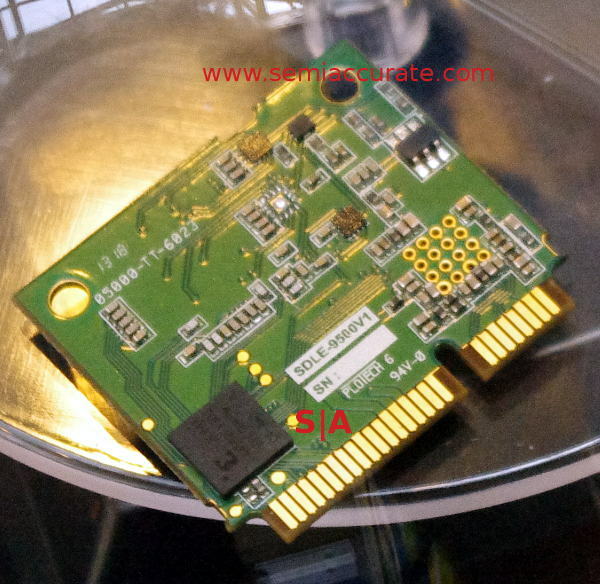 What really stunned us is a bit easier to describe, a 1/2 Mini PCI card form factor LTE card called the SDLE-9500. This card is based on the Aviacomm ARF1010EX LTE chip and it has a very interesting feature set. How about 14-bands (1-5, 7, 8, 20, 34, 38-41) to start with, and better yet it is reprogrammable too. Real global roaming anyone? The reason this device is significant is that the company making the silicon is not a big powerhouse with lots and lots of carrier ties to, umm, tie it’s hands, it is a pipsqueak. Same for Spectec. Like others that don’t have vested interests, TruPhone being a great example, you can do some innovative an useful things without the shackles of ulterior motives. A reprogrammable LTE modem with a very wide band capability is near the top of that list for most road warriors.